ST. PETERSBURG, Fla. - Quantum Spatial, Inc. (QSI), the nation’s largest independent geospatial analytics firm, will present projects and technology used in specialized work on marine GIS, topobathy acquisition and data analytics during Coastal GeoTools 2019, February 11-14 in Myrtle Beach, S.C. During the conference, QSI will focus on its contributions to projects for a variety of federal and state agencies, including the National Oceanic and Atmospheric Administration (NOAA), the Bureau of Ocean Energy Management (BOEM), the United States Geological Survey (USGS) and the California Department of Water Resources (CADWR). 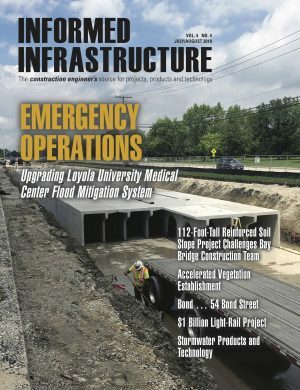 "QSI has a long history of working with policy and scientific experts at numerous government agencies seeking to acquire and analyze geospatial data that helps preserve and protect our shorelines, waterways and natural resources," said Kurt Allen, vice president and federal vertical lead at QSI. "During Coastal GeoTools, we look forward to presenting with our agency partners and sharing the innovative work we've been doing to extend the value of these data in new applications that enable the agencies to gain even more actionable insights for their programs." QSI Technical Domain Expert Colin Cooper will be joined by Stephen White from NOAA to discuss how topo-bathymetric LiDAR data from the NOAA National Geodetic Survey’s (NGS’s) Coastal Mapping Program (CMP) is becoming a valuable resource for coastal user groups. They will share how the value of the data is further deriving intelligent products that form the basis for downstream analytics, such as benthic habitat classiﬁcation and submerged aquatic vegetation mapping. The presentation will show how data collected in the Chesapeake Bay and Florida Keys with the Riegl VQ-880-G sensor can use used for derivatives, including seabed reﬂectance, structural signatures and total propagated uncertainty, to classify benthic habitat features through development and application of customized object-based extraction routines. February 12, 3 p.m.-5 p.m.
Alexa Ramirez, senior eGIS project manager for QSI, will present a new mapping and analysis decision support tool developed for the BOEM Marine Minerals Program called Analyzing Sea Turtle Entrainment Risk (ASTER). ASTER is helping guide mitigation planning decisions and reducing incidental takes of sea turtles (entrainment) during dredging operations within state and federal marine mineral resource areas of the Atlantic and Gulf of Mexico. The goal of the project is to be able to make informed decisions that minimize impacts to sea turtle species, while also decreasing dredging costs. February 14, 9 a.m.-10:30 a.m.
QSI Senior Program Director Andrew Brenner and Senior Geospatial Analyst Aron Boettcher will join with Peter Brostrom of the California Department of Water Resources (CADWR) to highlight a project undertaken by QSI and Eagle Aerial Solutions to estimate irrigated and irrigable land for single family and multifamily parcels in a consistent manner across the state. Landscape area estimates can be combined with climate data to provide an estimate of required outdoor residential water usage across the landscape. These irrigated/irrigable estimates provide fair and equitable assessment of water requirements for individual water districts. This innovative approach shows how the context of land cover can be used to impute how that land cover is used. QSI will be exhibiting in Booth 2, where the company’s geospatial experts will be available to discuss these projects, the technologies use and analytic capabilities. QSI will also showcase its Marine Minerals Information System (MMIS), a project that was developed for the Bureau of Ocean Energy Management (BOEM) in collaboration with the National Oceanic and Atmospheric Administration (NOAA) and the Bureau of Safety and Environmental Enforcement (BSEE). Last month during GeoWeek, this project won a prestigious MAPPS 2018 Geospatial Products and Services Excellence Award in the GIS/IT category. MMIS characterizes and spatially displays marine minerals geospatial data along the Outer Continental Shelf and offers a robust set of tools designed for viewing, analyzing, and modeling that data. MMIS standardized 30 years of data in different formats, resolutions, accuracy, scale and completeness to enable more reliable public policy decisions, improve integrity of BOEM resource management and leasing oversight, and increase coastal resiliency. To meet with QSI during Coastal GeoTools, contact Steve Raber, senior program/account manager, at sraber (at) quantumspatial (dot) com.